In just under three years M-KOPA Solar has provided affordable energy to over 200,000 homes in Kenya, Tanzania and Uganda. 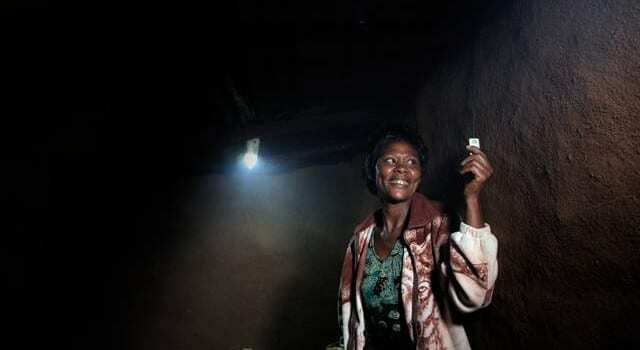 They have been so successful that in some cases those who were previously off grid have been supplying power to people on the main electrical grid during the frequent power outages. The M-KOPA systems are bought for a small price, and customers purchase daily credit using M-Pesa’s mobile money payment system. After a year each customer owns their system outright and they no longer have to pay for power. By replacing the traditional kerosene lamp with the mini solar system people can save a full year’s income in just three years. M-KOPA is estimated to have saved customers over US$150 million in the last few years. At the same time customers are decreasing the dangers associated with kerosene, namely accidental fires, and the health risks associated with indoor air pollution. 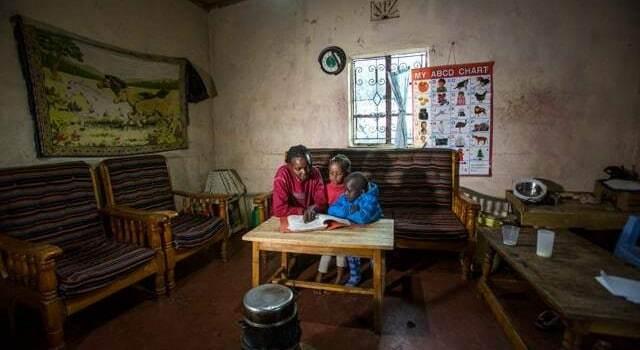 The future also looks brighter for their children, who can now do their homework after dark. Musonda Mukuka is a self-proclaimed "person-fearing, animal-loving potential writer and eater of baked goods". Tags: Clean energy, Finance, Light, Renewable energy, Social inequality, Solar, Solar energy.